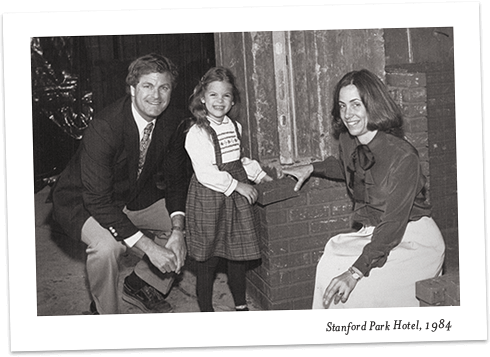 Our story began in the mid-1960’s when a young, warmly optimistic and slightly idealistic couple who had been born, raised and educated on the East Coast decided to embark on a journey westward to start a new life and family together. 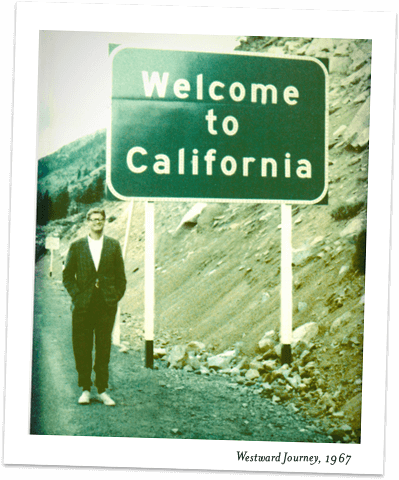 Their destination was California…an exciting land of promise, opportunity, sunshine and dreams. They loaded up their old Volvo station wagon, said goodbye to family and friends, and road-tripped cross country. After days on the road, and for no particular reason, they hit the breaks for the last time in a suburb of San Francisco near Stanford University, in a region that would eventually become known as the Silicon Valley. They soon settled into their professional lives; him founding a law firm and her programming super-computers for the US Government. However, their wanderlust was strong, and on weekends they explored the many geographic riches of the Golden State; bewildered by the region’s diversity of culture, community and natural beauty. 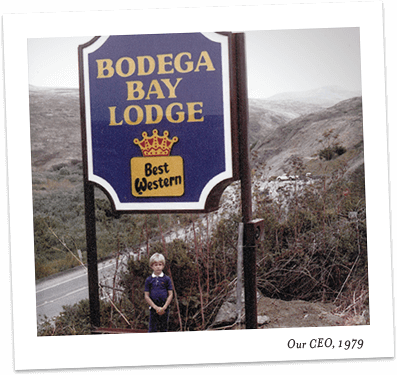 In 1972, the life changing mix of fortuitous timing, entrepreneurial risk-taking and old fashioned resourcefulness came together, and this couple, now with young children, quit their professions and invested their life’s savings into a small motor lodge on a beautiful bluff overlooking the Pacific Ocean in Sonoma County. 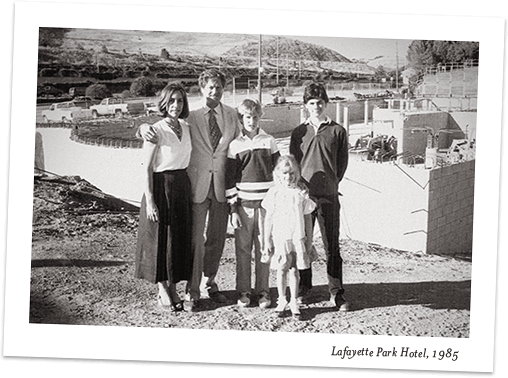 Thus, began their humble start as hoteliers and the creation of Woodside Hotel Group, an organization that for over four decades has been dedicated to earnest and gracious hospitality around the West. 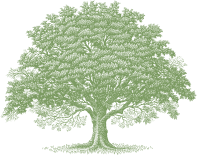 Today, Woodside Hotel Group is stewarded by the second generation of family leaders, who grew up among these magical getaways across California – running free along the Sonoma coastline, Lafayette oaks and Yountville vineyards. Likewise, many of our first guests are returning with families of their own to share in their own Californian experiences – and the same sense of wanderlust, welcome and wonder.